Below is an analysis of Cuba’s move toward non-agricultural cooperatives, presented at the meetings of the Association for the Study of the Cuban Economy in July 2013 and published in the Proceedings of that Conference. 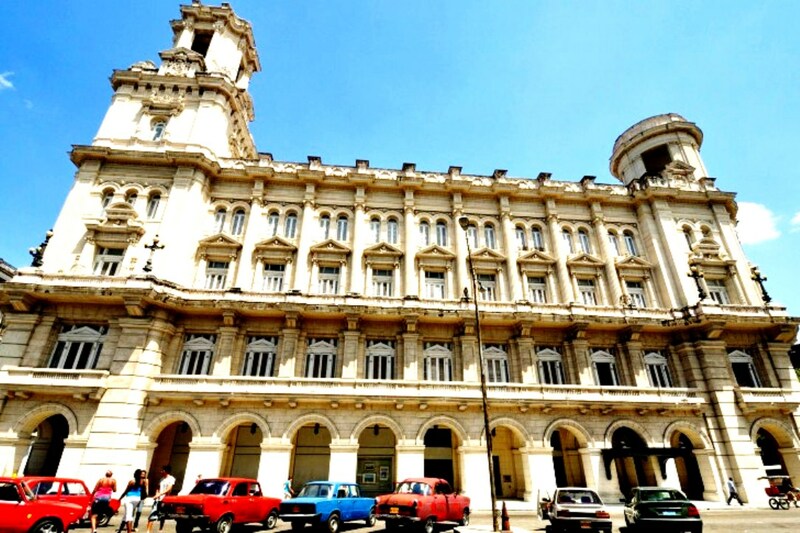 In the process of re-analyzing the issues and problems facing the Cuban economy following the July 2006 accession to power by Raúl Castro, it was concluded that much of the state sector of the economy — and the planning process under which it operated — was irredeemably inefficient. Numerous attempts had been made to improve its operation, but all were without significant success. This was typified sharply by the collapse of the sugar agro-industrial sector, by the inability of the non-sugar industrial sector to be revived after its collapse in 1989-1992, by the continuing shortcomings of the consumer economy and by the burgeoning of the underground economy. In response to this continuing predicament, Raúl Castro’s Government produced the “Draft Guidelines for Economic and Social Policy” of October 2010 with a final version in May 2011, which notably called for the establishment of an enabling environment for small enterprise, among other things. The “Guidelines” document also included a section on the promotion of new non-agricultural cooperative enterprises. This institutional form was the object of considerable analysis within the Cuban Government between 2008 and 2012. On December 11, 2012, a battery of new laws and regulations on cooperatives were published in the Gaceta Oficial No. 53, including two Council of State Decree-Laws, two Ministerial Resolutions, one Council of Ministers Decree, and one Ministerial “Norma Específica de Contabilidad.” This legislation outlined the structuring, functioning, governance and financial organization of the new cooperatives and provided the legal framework within which they were to operate. It permitted and defined a new type of economic institution for Cuba, one that would have been out of the question under the presidency of Fidel Castro, but that holds the potential for revolutionizing the institutional structure of the Cuban economy. The legislation presented the cooperatives as “experimental,” and indicated that after some 200 were initially approved, the institutional form would be reappraised and modified as appropriate. There is therefore some uncertainty regarding the long-term character of the legislative framework governing the structure and functioning of the cooperatives. However, in our judgment, the reform will more likely be more “loosening” rather than restricting – assuming that Raúl and his successors do not return to the de-marketizing and centralizing orientations of the previous “Fidelista” era. 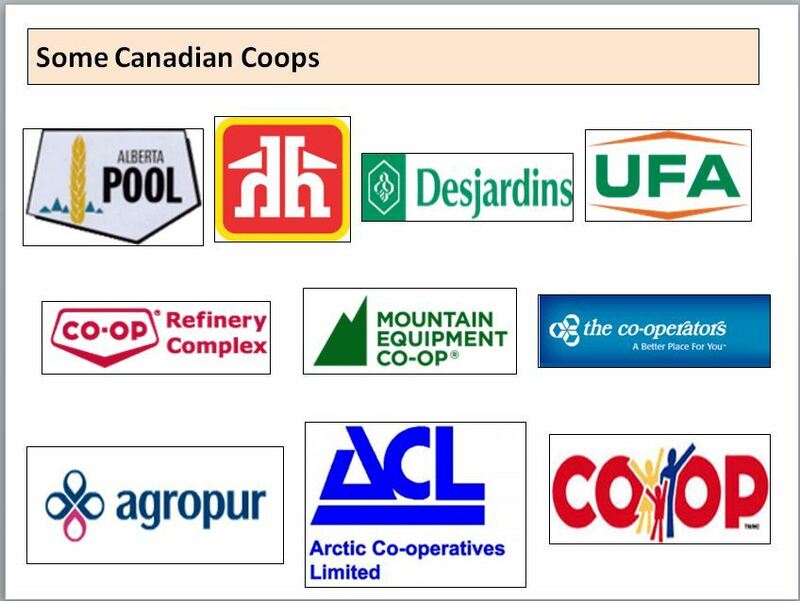 In essence, the new legal regime for non-agricultural cooperatives provides for ownership and management of the enterprise by its employees, with mainly independent management and control –– over the setting of prices, the purchase of inputs, decisions regarding what to produce, labor relations and the remuneration of members. Reforms of state enterprises were announced on July 7, 2013 by the Minister responsible for the reform process, Marino Murillo (Frank, 2013). State enterprises were to be granted greater control over their profits – retaining 50% thereof for their own uses – as well as over wages and salaries, investment expenditures, and the purchase of imported inputs. It was still unclear as to whether prices were to be controlled by the state planners or by market forces. It is still too early at the time of writing to say whether these changes in the regimen for state firms will amount to a reliance on the forces of supply and demand for their social control. However, they signal a shift towards a more mixed economy, greater decentralization of economic management, and a diminished role for the central planning authority. 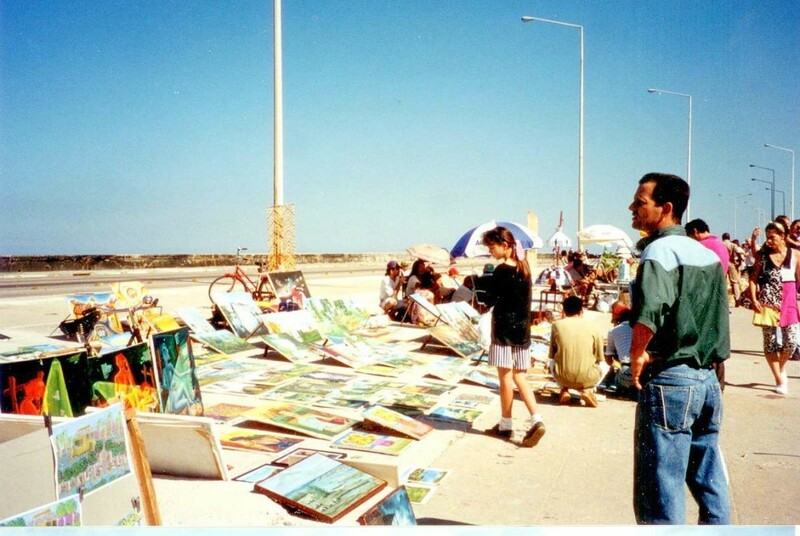 This type of worker ownership and management within a market environment could be regarded as a variant of “market socialism.” Cuba is launched on a path towards a hybrid type of mixed economy with a still-significant state sector, an expanding small enterprise sector, a joint venture (foreign and domestic state enterprise), and now an employee-owned and managed sector. Only Yugoslavia prior to its break-up included a large part of its economy under a unique form of workers’ management, though it still seems to have involved authentic workers management in theory more than in practice (Carson, 1973). Most other countries have cooperative enterprises of various types that survive and thrive. However, while some cooperative enterprises are large and highly successful, no form of cooperative model has taken over a majority share of the economy in any country since Yugoslavia disintegrated in 1990-1992. If Cuba’s new legislative framework for non-agricultural cooperatives is sustained, and if they actually function as they are intended, their governance and operation will be quite democratic and egalitarian in terms of the decision-making process within the enterprise and the distribution of income among members. The adoption of this cooperative model, involving workers’ ownership and management and operating under market mechanisms, could turn out to be a major institutional innovation for Cuba. In the current context of the existing economic structures in virtually all of the countries of the world, this might prove to be innovative and perhaps revolutionary, though it is still too early to judge. 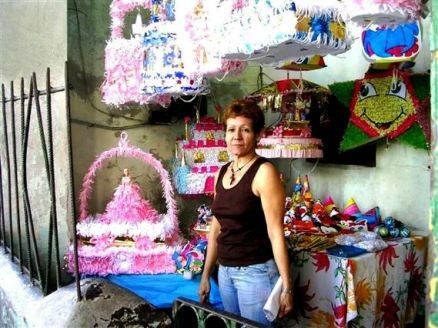 Cuba’s December 2011 initiative for the establishment of non-agricultural cooperatives may permit the emergence of larger scale non-state enterprises that could operate with greater effectiveness than state enterprises. Moreover, such cooperatives may well have advantages over private sector enterprises particularly regarding the equity of their income distribution arrangements and also workers’ incentives and levels of commitment. If this initiative is implemented broadly in the Cuban economy, it could constitute a change and perhaps an improvement of historic dimension. With much of the state sector of the economy converted to cooperative institutional forms, Cuba could become a country of “cooperative socialism,” which would be quite different from the highly centralized and state-owned system to which it has aspired for half a century. However, authentic cooperatives are not easy to establish, to manage or to operate effectively. There are also a number of uncertainties and potential problems which are specific to the Cuban case, judging from the legislation. Perhaps the more serious of these potential difficulties include firstly, the approval process which is unclear and susceptible to control from the center; secondly, the nebulous role of the Communist Party in the functioning of the enterprises; thirdly, the limited possibility of hiring of non-member workers; is very limited and finally, the uncertainty as to whether or not cooperatives providing professional services of various sorts will be permitted. It is wise that the government is proceeding cautiously and that it is considering the cooperative enterprises’ first phase as “experimental” and tentative in character. The legislative framework within which these cooperatives operate can then be modified on the basis of the initial experience. This pragmatic approach is pointedly different than the decision-making process under President Fidel Castro, in which substantive policy shifts and institutional changes were determined by the President and implemented rapidly such that the full foolishness of the decisions would become apparent only after it was too late to change course. If it comes to fruition as it is envisaged in the cooperatives legislation, the role of worker management and of worker control could constitute a significant degree of “economic democracy” for Cuba. This would be a significant and, indeed, a paradoxical development in view of the near complete lack of authentic democracy in Cuba’s political system. Will democracy in the workplace generate a strong pressure and impetus for the spread of genuine participation in the political sphere? I would like to thank Ted Henken and Jorge Pérez-López for valuable substantive as well as editorial contributions in the preparation of this essay. Carson, Richard. Comparative Economic Systems. New York: Macmillan, 1973. Caruso-Cabrera, Michelle. 2013. “Cuba shows beginnings of free enterprise—sort of,” CNBC, July 12. Ciudad de La Habana.2010. Proceso de reducción de plantillas. (Power Point Presentation) August 24. Cuba Libre Digital. “La burocracia ‘socialista’ consume a las nuevas cooperativas no agropecuarias.” 10 de enero de 2013. Decree 309, Council of Ministers. Gaceta Oficial de la República de Cuba, Número 53. 11 de diciembre de 2012. Decree-Law 305. “De las cooperativas no agropecuarias.” Gaceta Oficial de la República de Cuba, Número 53. 11 de diciembre de 2012. Frank, Marc. 2013a. 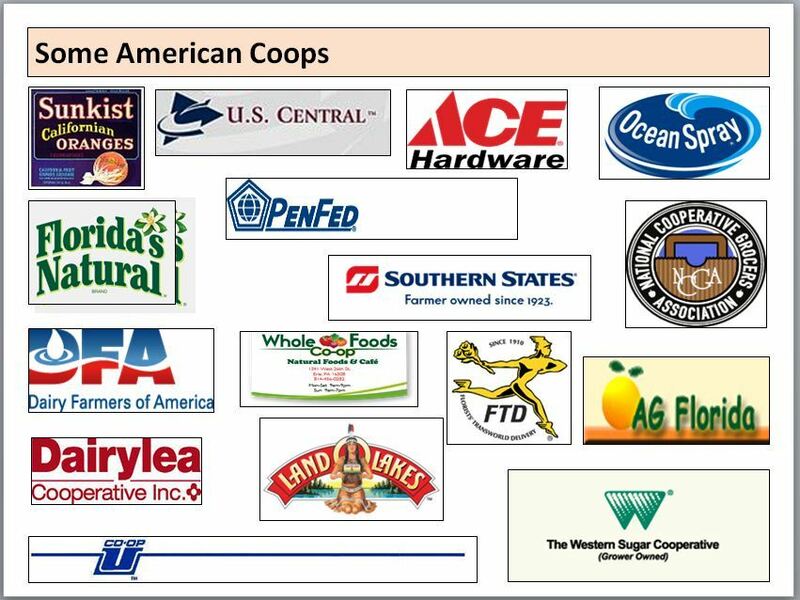 “Cuba’s non-farm co-ops debut this week amid move toward markets,” Chicago Tribune, June 30. Granma. September 11 and 14, 2012. Horvath, Branco. “Yugoslav Economic Policy in the Post-War Period: Problems, Ideas and Institutional Developments,” American Economic Review, June 1971.
International Cooperative Alliance. WebSite: www.ica.coop (accessed January 15, 2013). Juventud Rebelde. 18 de diciembre de 2012. “Debate sobre la nueva ley de cooperativismo : Se buscan socios.” http://www.cubainformacion.tv/index.php/economia/47243–cuba-extiende-las-cooperativas-a-a-la-traduccion-la-informatica-y-la-contabilidad. Accessed January 16, 2013. La Nación. “Primeras cooperativas no agropecuarias en Cuba comienzan en una semana.” San José, Costa Rica. 23 de junio de 2013. Mesa-Lago, Carmelo. Market, Socialist and Mixed Economies: Comparative Policy and performance, Chile, Cuba and Costa Rica. Baltimore and London: Johns Hopkins University Press, 2000. Ministry of Finance and Prices. Resolución 427/2012, Gaceta Oficial de la República de Cuba, Número 53. 11 de diciembre de 2012. Partido Comunista de Cuba. 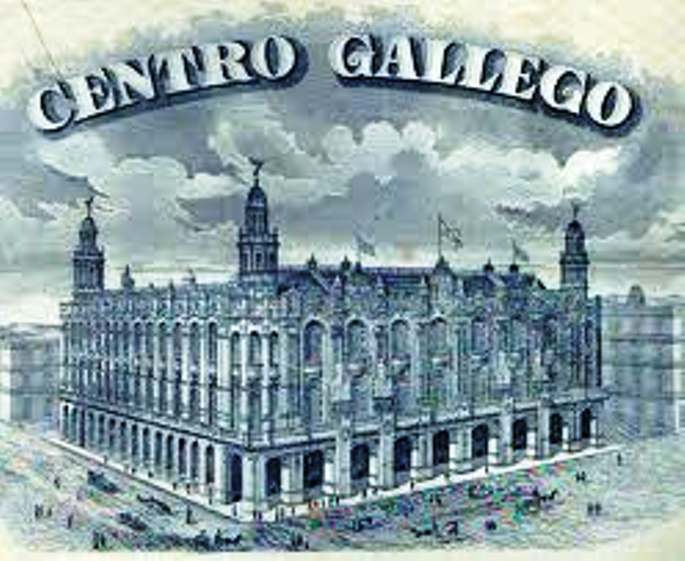 VI Congreso. Lineamientos de la Política Económica y Social del Partido y la Revolución. La Habana, 18 de abril de 2011. 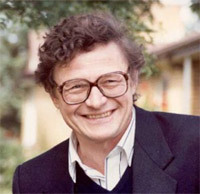 Peters, Phil. Reforming Cuba’s Agriculture: Unfinished Business. Arlington Virginia: Lexington Institute, 2012. Piñeiro Harnecker, Camila. (Compiladora). Cooperativas y Socialismo: Una Mirada desde Cuba. La Habana: Editorial Caminos, 2011. Piñeiro Harnecker, Camila. “Las cooperativas en el nuevo modelo económico,” in Pavel Vidal Alejandro and Omar Everleny Perez Villanueva (Compiladores) Miradas a la economía cubana: El proceso de actualización. La Habana: Editorial Caminos, 2012. Piñeiro Harnecker, Camila. 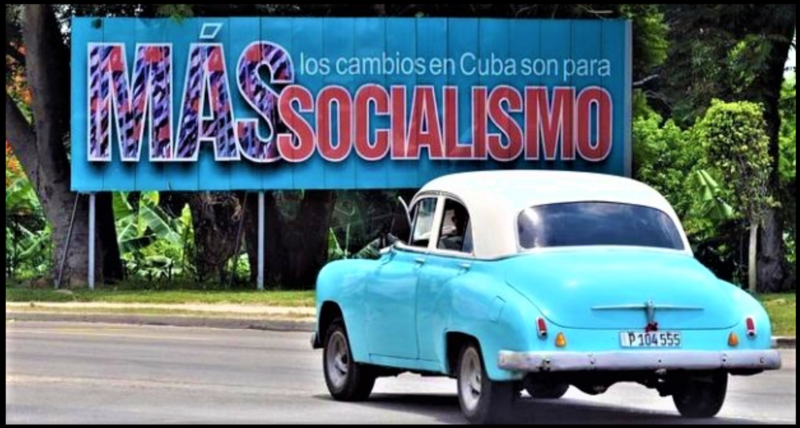 “Visiones sobre el socialismo que guían los cambios actuales en Cuba.” Revista Temas, No. 70, abril-junio de 2012, La Habana. Vanek, Yaroslav. “Decentralization under Workers Management: A Theoretical Appraisal.” American Economic Review, December 1969. Professor at the University of Havana. Former director of the Centro de Estudios de la Economia Cubana at the University of Havana. Doctorate in Economic Sciences of the University of Havana in 1998. Masters in Economic and International Relations from CIDE, AC Mexico City, Mexico in 1990. Bachelors in Economics from the University of Havana in 1984. 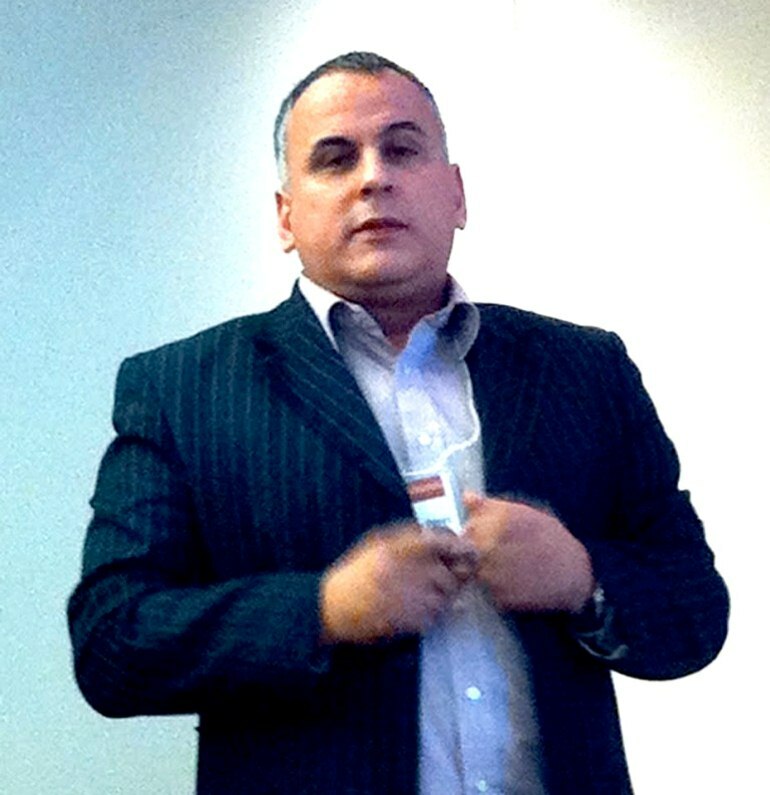 Dr. Perez Villanueva has presented at conferences in various Cuban institutes as well as internationally, includ­ing in the United States, Japan, France, Canada, Spain, Brazil, Puerto Rico, Mexico, Dominican Republic, Venezuela, China, Malaysia, Argentina, Peru, Jamaica, Barbados, Trinidad and Tobago and Norway. 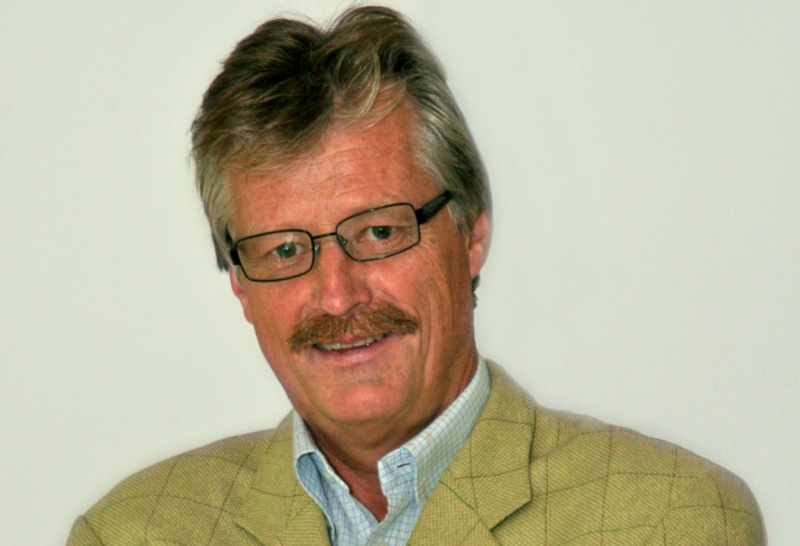 He has served as a visiting professor at Universities in the United States, Japan and France and has published over 70 research papers in a variety of areas of the Cuban and global economy. Dr. Perez Villanueva has also published over 75 articles in publications and has co-authored several books in Cuba and abroad, including “Cuban Economy at the Start of the Twenty-First Century,” with Jorge Dominguez and Lorena Barberia (Harvard University. ISBN 0-674-01798-6, 2004), the second edition of “Reflections on the Cuban Economy” (Editorial Ciencias, Havana. ISBN 959-06-0839-6, 2006) and “Outlook fo the Cuban Economy I and II” (ISBN 978-959-303-004-5). His last book is “Fifty Years of the Cuban Economy” (Editorial Ciencias Sociales. Havana. ISBN 978-959-06-1239-8). Submerged economy, merolicos, informal workers, cuentapropistas, self employed, a “necessary evil”, are some of the qualifiers used to describe individuals who work in the independent sector in Cuba closely reflects the fluctuations and reversals to which the non-state run economy has been exposed, and which in a way have been a thermometer for the transformations of the Cuban economy. 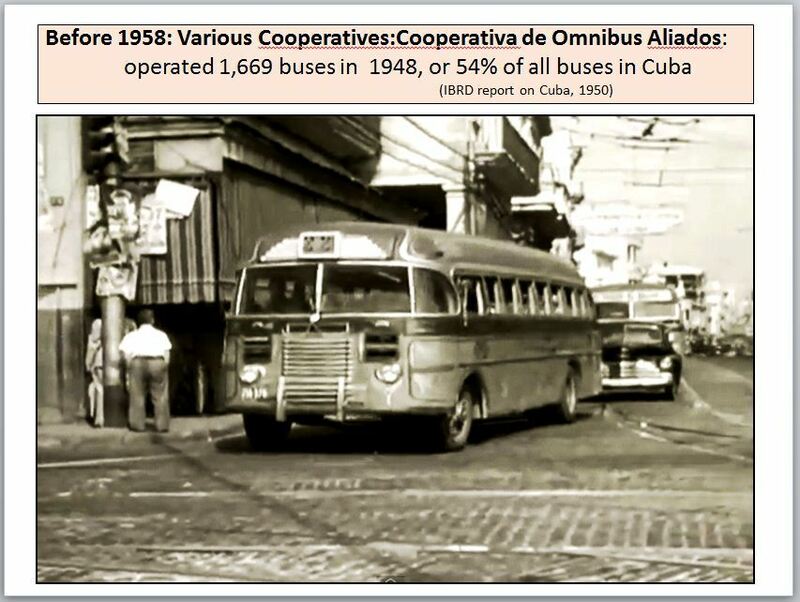 As a result of the Cuban revolution in 1968, about 58,000 private businesses were nationalized, mostly small family businesses, focused on retail and restaurants. Some other small businesses worked in some kind of craft or industry, but these were generally low-tech. Some estimates put those businesses as employing between three and seven workers each. If we estimate an average of five workers per business, then the sector generated employment for about 300,000 people, out of a total population that exceeded six million. Self-employment appeared when the different alternatives generated from the State failed to meet the demands of the population for different services and products (On July 3, 1978 Executive Order No. 14 was issued to regulate self-employment activities to be exercised by workers), but after a brief period of expansion, it languished in the absence of stimulus policies and its tacit rejection based on ideological and political considerations. 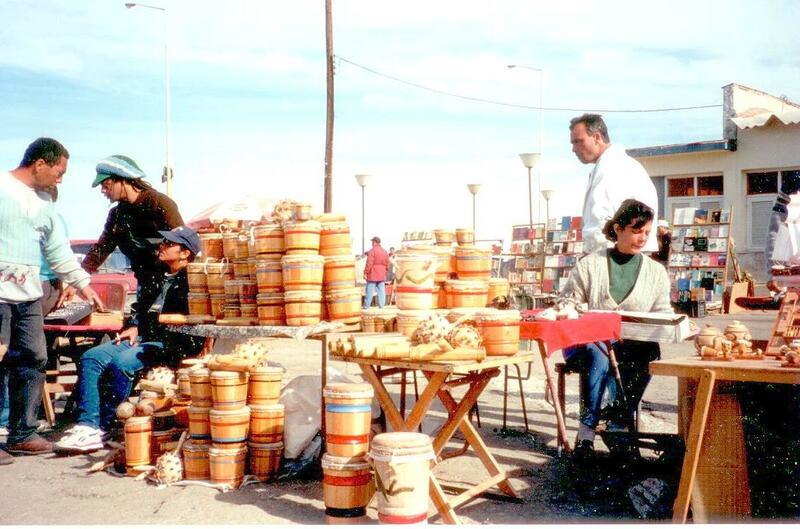 Self employment was revived in 19931 (Executive Decree 141) in response to the adjustments in the production and employment sectors generated by the crisis. It was accepted as a “necessary evil,” but not as an integral part of a development strategy destined to occupy a legitimate space to contribute to growth efforts 2. That same policy that limited the access of new workers to the sector caused the generation and appropriation of undue rents, supported by the virtual monopoly in some market segments by those who “had come first,” into the sector and were later “protected” by the State. This was really ironic because the barriers to enter the sector that were created from the institutions that were supposed to “regulate” it, and the restrictive policies established, reduced competition in the “cuentapropista” sector, allowing the accumulation of income, not based on productivity and efficiency, as well as the expansion of informal channels of supply, some of them, hard to quantify, in many cases from state agencies, creating disincentives for improvement and innovation. There were two big losers: the dynamics of the national economy, as an economic circuit was generated separately from the rest of the economy, and the population (clients) who debated between the government monopoly over some services, and the monopoly that almost unwittingly was exercised by portions of the self-employed over some (most lucrative) activities and services that were “unregulated”. 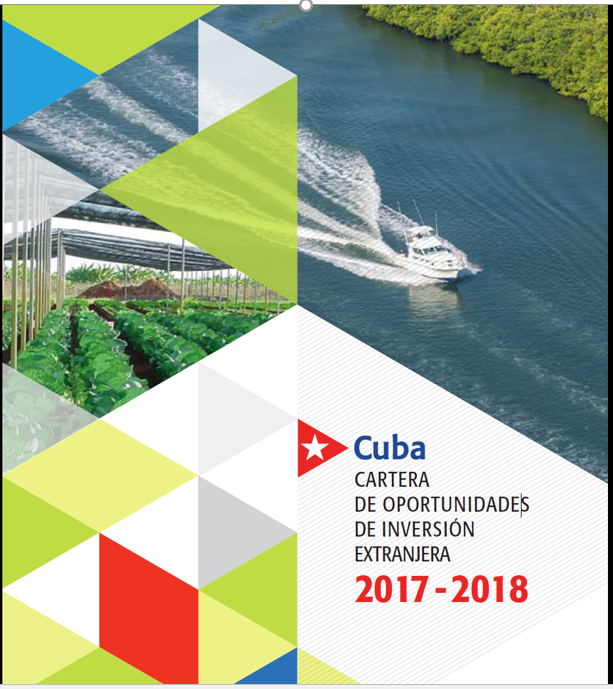 Studies of this sector in Cuba, have often given priority to its importance for the economic liberalization and decentralization, as well as its significance from the point of view of the expansion of market relations. There is another perspective on this issue that also must be addressed. Micro, small and medium enterprises are part of the skein of any economy, regardless of the degree of development. Their contribution to employment is significant, the flexibility and maneuverability that it gives the economies (even developed economies) allowing systematic adjustments is unquestionable, and in some economies, this sector even has innovation capabilities that should not be ignored. Source: ONEI, Anuario estadístico de Cuba 2011.
a. The total number of the employed fluctuates around five million people and it should grow significantly in the coming years. b. The participation of the state sector continues to be decisive in total employment, but it has declined in the past two years. c. In the non-state sector, the number of the employed decreased as a whole4, but the “cuentrapropista” sector was able to generate 244,000 jobs. A fact that is relevant to the survival of the cuentapropista sector in the medium and long term is that it has become a significant element of employment for the country, since no other sector with so little capital is able to generate that amount of employment, so it is “socially desirable”. It is also the fastest growing sector in female employment in recent years. All these “objective reasons” give certain guarantee in the medium and long term for the existence of “cuentapropismo”. Today it is a functional sector due to the reforms undertaken in 2007 and consolidated in 2011. Another perspective of this analysis is associated with the institutional protection that has been created to protect the independent sector. The “modern legal network” directly associated with the expansion of self-employment was initially contained in two special issues of the Official Gazette of the Republic of Cuba published on October 25, 2011 (numbers 11 and 12, dated 1 and 8 October, respectively). They included five legislative decrees, an executive decree, an agreement of the Executive Committee of the Council of Ministers, and fourteen ministerial decisions.4 Probably due to two factors: the contraction of the foreign companies and the loans and services cooperatives. • Allowed commercial exchanges between “cuentapropistas” and Government entities. • Authorized hiring a workforce, automatically converting “cuentrapropistas” into micro entrepreneurs. • Conferred the status of taxpayers and Social Security recipients. • Authorized access to bank financing. • Allowed the rental of government or third party premises and assets. • Authorized the exercise of several trades by the same person. • Removed the restriction of having to belong to a territory to exercise a trade in it. • Dispensed with the requirement of being retired or have some employment link to access this form of employment. • Removed the restriction on the rental of a whole house or apartment, to allow the leasing of rooms by the hour and the use property assigned or repaired by the state in the past decade. • Allowed the leasing of homes and vehicles to people who have residence abroad or to those living in Cuba, but leaving the country for more than three months, for which they can appoint a representative. • Increased the capacity to fifty seats in the “paladares”, removed the restriction to employ only family members, and the ban on the sale of food products made with potatoes, seafood and beef. As a result, a new regulatory environment has been created that exceeds the direct legal network. As part of the reform, as well as other measures authorizing the sale of houses and cars, for example, allows legal improvement to the facilities of the business, and the sale of cars which can improve the “assets” of new businesses. In addition, the land lease policy and its recent update could facilitate the increase of supplies for those engaged in food services. • The tax burden of the self employed is reduced between 3% and 7% for the segments with higher and lower income, respectively. • A tax rate decrease for the use of labor force in the sector of self-employed workers, from 25% to 5% in the term of 5 years. It also maintains this tax exemption for the self-employed, individual farmers and other individuals authorized to hire up to 5 workers. “The increase in the private sector of the economy, far from being an alleged privatization of social property, as some theorists claim, is destined to become a facilitating factor for the construction of socialism in Cuba, as it will allow the State to focus on raising the efficiency of the basic means of production owned by the people and release the management of nonstrategic activities for the country … we must facilitate the management and abstain from generating stigma or prejudice towards them and demonize them” ….. and later added “This time there will be no return”. Soon, a new regulation for the operation of cooperatives in the agricultural sector will be released, which will enrich the environment in which the self-employed sector operates, will introduce new competitive challenges and make the economic fabric of the country more complex, generating new production chains. Certainly, there is still a long way to go. Eventually it will be necessary to formally take the step from “cuentapropismo” to micro, small and medium enterprises. The time has come to consider legislation regulating a negative list (much smaller than the current listing of allowed work) of jobs that cannot be exercised privately. The time has come to incorporate offices and university professionals in jobs directly related to their careers to prevent their loss by emigration or non-use, and/or the waste of human potential unquestionably created in recent years, who have proven to be highly competitive in “other markets “. At some point, it will be necessary to incorporate into the Constitution of the Republic these new realities to begin to delineate a new economic model, but also to begin to draw a new model of development for the country, in which productivity gains and efficiency cannot be expected to only come from the state sector. 1 (*) Professor of the Centro de Estudios de la Economía Cubana, Universidad de la Habana. (**) Cuentapropista used interchangably with self-employed in translation. In 1993 it was established who could be self employed: state enterprise workers, retirees, the unemployed who receive subsidies from the State.10 and housewives11, and what activities, especially manual could be included, limiting access to those who could compete with the state. 2 Services that can be offered are limited and are prohibited in some geographic areas, there is no access to bank loans, workers cannot be hired as such (only allowed family work), and a high tax system is applied to independent activities … This regulation determines that the production costs must be assumed by the “cuentapropistas”. 3 In fact, the space gained by some of these “modalities” has ignored certain issues such as the “tourism extra hotels network” always considered inside the state sector but one of the weaker of the government enterprises. 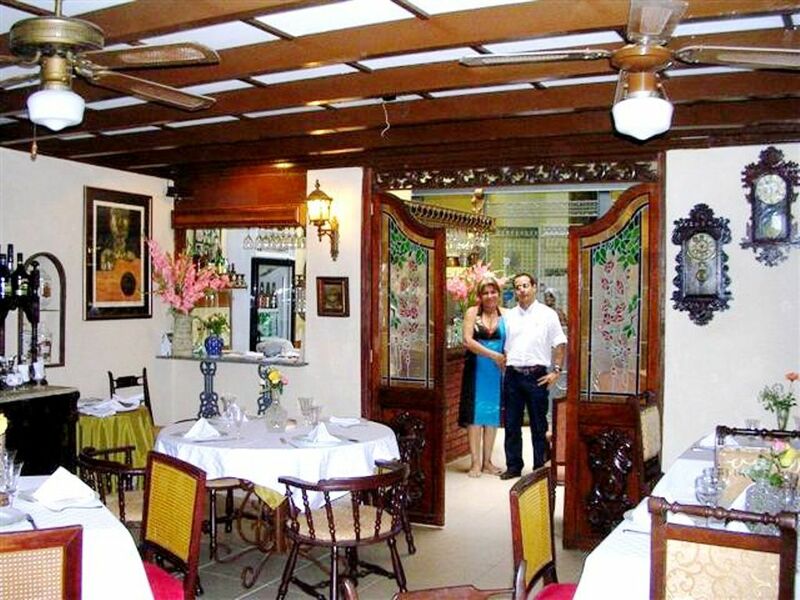 Today there are in Havana more than 370 private restaurants and possible more than half of them have appeared since 2011. Gaceta Oficial de la República de Cuba, No. 12, Edic. Extraordinaria, 8-10-12. Vidal P. y Pérez O. Entre el ajuste fiscal y los cambios estructurales: se extiende el cuentapropismo en Cuba, Espacio Laical No. 4, 2010. Ritter A. El régimen impositivo para la microempresa en Cuba, Revista de la CEPAL No. 70, 2000, Naciones Unidas CEPAL, Santiago Chile. Gonzáles A. “La economía sumergida en Cuba” Revista Investigación Económica, No.2, April-June 1995, INIE. I. 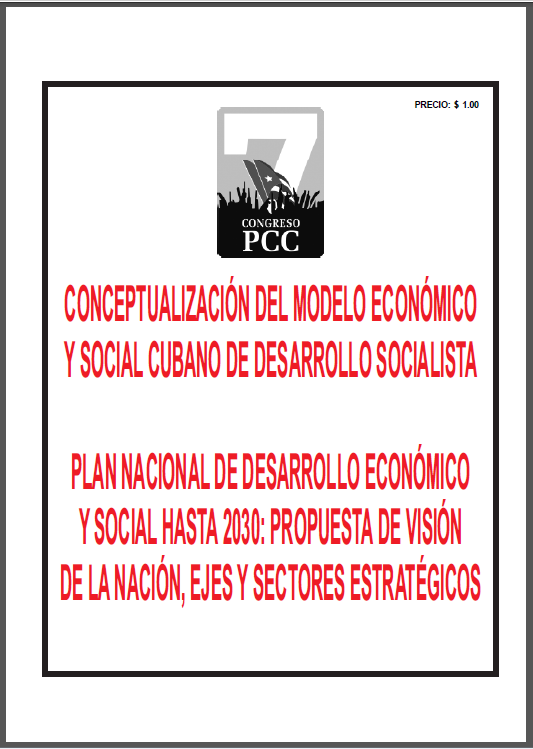 Economic Growth and Development in Cuba: some conceptual challenge s.
The set of economic and social guidelines adopted at the Sixth Congress of the PCC (Havana, April 2011) cover a wide range of policies, sectors and areas of action. The application of these guidelines will determine substantive changes for the country’s economic, social and political life. However, it is convenient to think of an analysis that defines strategic foresight—from the experience gained and the economic and social problems currently facing Cuba, which are the basis of the transformation process—a medium and long term vision for the country that is wanted and can be built. It should consider the restrictions on existing national political space, and the basic political consensus, economic and social rights of the Cuban nation. Such a medium and long term view would necessarily have to include in economic terms, the requirement to achieve high and sustainable growth rates in Cuba. This is key to guarantee expanded reproduction, increased living standards and the welfare of the population, a necessary condition, although not exclusive, for development. v) the degree of acceptable distributive inequity—and buffer policies—under such a scenario in the medium and long term. Obviously, such a strategic vision would include other elements, but the five dimensions outlined above would be central to the understanding and to consistency of the process of transformation of the development model for the country. 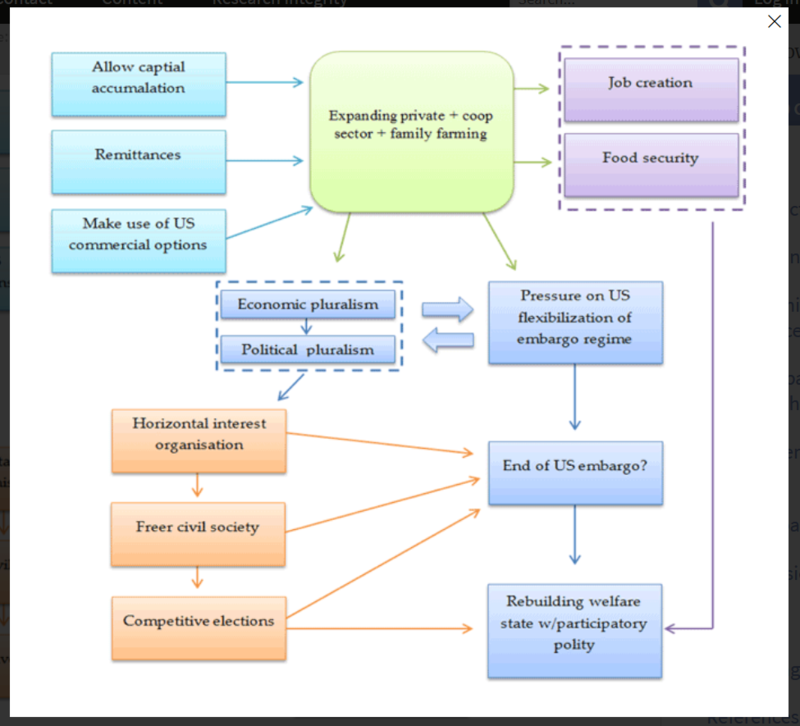 Progress in terms of development, also involves in the case of small economies like Cuba, the adoption and implementation of a strategy of specialization relatively concentrated in a limited number of export activities that will ensure the country international insertion and that would be beneficial to sustained expanded reproduction. This is so because small island economies are not able to establish a “closed loop” for operation, since they cannot internally guarantee all conditions that are required for economic growth. The limited size of the domestic market, the requirements of economies of scale that characterize contemporary technology, and the limitations on labor and financial and productive resources, determine a relatively narrow specialization in the case of small economies like Cuba.